2018 has been one of the most diverse years in the 21-year old life of the Air Max 97 silhouette, as we have seen it done up in a number of new constructions as well as its inclusion in hybridized projects the likes of the Vapormax 97 and the Sean Wotherspoon Air Max 1/97. One of those new constructions is the ladies-only studded version that you can see here done up in a Wheat Gold color scheme with the presence of increasingly popular corduroy texture. Metallic gold studs can be seen on the sneaker’s midfoot shank to provide the sneaker with a slightly luxurious touch. White and black are added to the shoe’s midsole and outsole to contrast the rest of its golden upper. 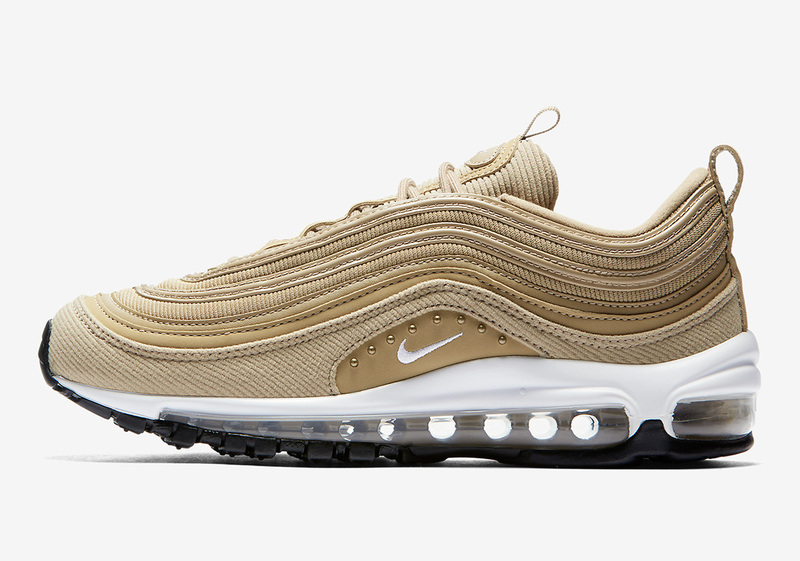 Official images of this new studded 97 are available below, while pairs should arrive on Nike.com and other Swoosh Brand retailers sooner rather than later.